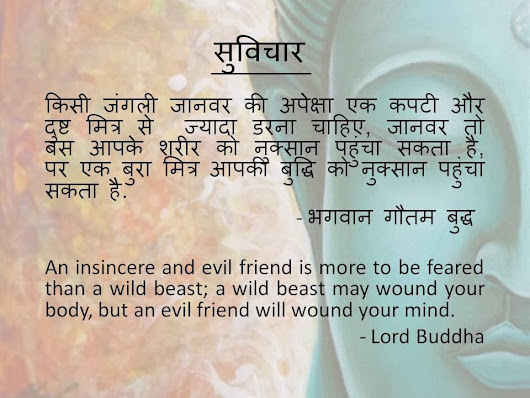 An insincere and evil friend is more to be feared than a wild beast; a wild beast may would your body, but and evil friend will wound your mind. Fabulous Quotes by Gautam Buddha about evil friend. Read the hindi and english transcript of the Quote.